I've officially had that moment. That moment when I realize my baby could arrive here in four weeks and the doctors wouldn't stop her! That moment when I realize Sophia could be joining us in ONE MONTH. That moment when I walk into her room and see nothing done. Nothing set up, nothing bought, nothing washed. That's right. I'm almost 33 weeks along and have not done a single thing for baby girl #2 and her arrival. Hi, My name is Brittney and I am a terrible human being. I've said it before and I'll say it again: It really shouldn't take us that long to get her room ready. I have everything planned in my head but I haven't actually gone out and found anything. 1.) Buy an entertainment center, so that we can move her dresser out of the family room and into her room. 2.) Wash and dry the container of newborn and container of 0-3 month clothes from Grace. 3.) Wash and dry the container of baby/infant linens. 4.) Put said clothes and linens into dresser that has been moved into her room. 5.) Use frames (that we already own,) and make some art for her room. If that's all we got done before she arrived, I'd be happy. We'd be able to easily access her clothes, use her linens, and change her diaper. If we hadn't gotten around to buying and setting up a crib, we have a pack n play with an infant insert that we could use for awhile. See? It's a really easy list. I could have the entire thing done in a day, no problem, since I have already chosen the entertainment center and it can fit in our car. I'm just procrastinating because life has been so full and busy lately! Baby Monitor- our last apartment was so small that we could hear Grace even when she was just stirring in her crib. In this house, the walls are so thick and we are much more spread out, meaning that we can't even hear her crying in her room from our bedroom! Not to mention if I am downstairs while she is sleeping. We really need a monitor (or maybe two?) that can pick up sound (I don't need video) and transmit through these thick concrete walls. Any suggestions? I think we probably also want the receiver to be rechargeable, as I would need to move it from our bedroom to downstairs with me. An unstructured baby carrier- we borrowed our friend's infant carrier but we didn't use it very often. Now, with Grace on the move, I would love some way to hold Sophia while still doing things with Grace. Plus, this might help us with our stroller situation (more on that to come.) Suggestions? K'Tan? Moby Wrap? Something different? We have a Classic Boba, which we love, but it is a soft structured carrier and is meant for a baby 15 pounds and above, so we want something for a small baby. A double stroller- there aren't many options out here for double strollers. I'm not a fan of umbrella strollers (at all) because of their propensity to flip backwards and you can't really have an infant in one anyways. I'd love to be able to move Sophia's car seat from the car to the stroller. AND I want a more compact stroller that isn't too wide (can't fit through aisles at stores,) or too long (can't fit into smaller elevators- believe me, I've seen it happen.) All of this to say, I LOVE this stroller but it is a total dream item: a Phil and Teds Dash with a Double kit. I can get one used here for about half of the regular price, which is nice, but even still, it's expensive!! There are a few more small items but that is the extent of our big Wish List items. They probably will never happen, but I'm keeping my eyes open for good deals on these things! Perhaps in the next week or two we'll be able to start moving on getting preparations for Sophia's arrival. I think the first purchase will be a pack of newborn diapers! 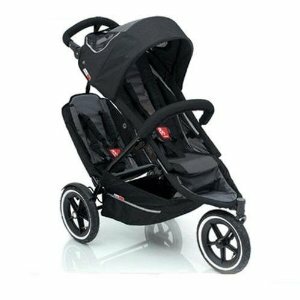 Loved the K'tan and we have a City Mini double stroller (about $300) that is awesome! 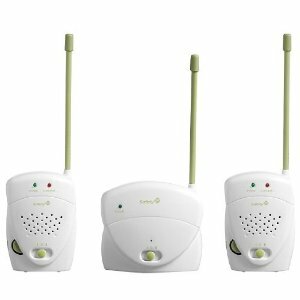 We have a Philips Advent monitor with DECT technology (just their basic one...no video or anything) as LOVE it. It's our 3rd monitor. We never get feedback from cell phones or computers or the microwave (had serious problems with that before). And I can go outside and be anywhere working in our yard and have no range problems. So it's awesome. 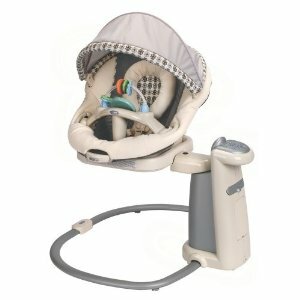 We personally love the moby for the newborn stage. Eden always fell right asleep in that thing. And we opted for a fancier double stroller too. We had many of the same concerns as you, and after LOTS of research and trying them all out in person, we went with the UppaBaby Vista (2012 model) with the rumble seat (aka doubles kit). We obviously haven't tried it with two babies yet but LOVE the stroller and don't regret it one bit. We've had it since April. Brittany-I started reading your blog I think from Kelly's Korner. I enjoy reading about your life in a whole new culture! I just wanted to let you know that I love my Moby wrap but it is really hot and I know where you live is hot. I just wear mine inside. Just letting you know my experience. it was becoming overwhelming for me to get everything ready..now i feel more ready. the hubby on the other hand waits until last minute to do everything!!! good luck getting everything done!